He called his fiancée after the jump: "I said, 'Darling, I'm not dead,' and she was impressed." After a ring or two, Frank Webb picks up the phone. It's 3 p.m. on a Monday. "Hello? I'm just about to have a glass of wine for my afternoon drink and siesta. Who's this?" And that about sums him up — relaxed, content, and doing what he wants, when he wants. 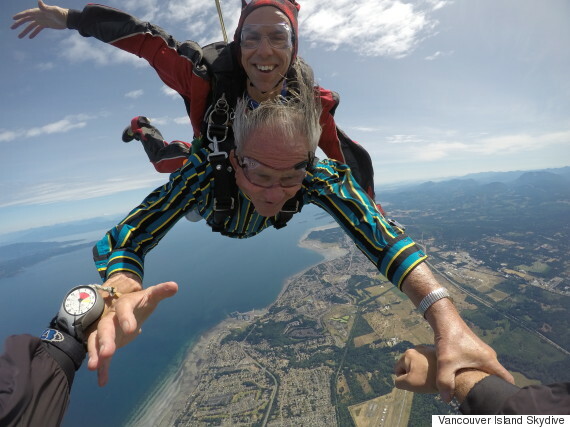 Webb, who lives in Saanich, B.C., went skydiving for the first time to celebrate his 86th birthday earlier this month. He leapt from a plane 3,050 metres (10,000 feet) above Qualicum Beach, falling at 200 km/h towards the sand below. "It was so wonderful. Just wonderful," Webb told HuffPost B.C. in an interview. 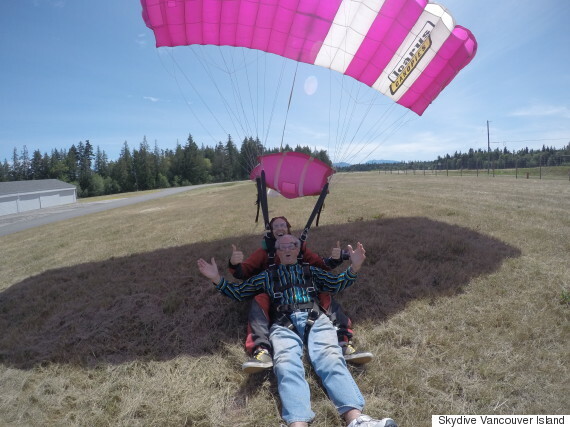 "On landing, Frank was waving his arms like he was conducting an orchestra and had a huge smile on his face," said Gord Gauvin, who owns Skydive Vancouver Island. "He was the oldest skydiver we've ever taken, and he did a great job." For Webb, it was a dream that was over 60 years in the making. Born in England, he had wanted to go skydiving since his time as a soldier in Egypt in the early 1950s, when he was presented with an opportunity to be a part of a parachuting battalion. "I said to my mates, 'Let's go! They'll give us more money,'" Webb recalled. The then-soldier finished his training without ever jumping out of a plane, but was ultimately told he had to extend his tour to be allowed up in the air. "I said heck no," Webb recalled. "I said, 'When I get home, I've got a girl that's been waiting two years for me.'" After he returned home, Webb married, built a career as a sheet metal worker, and buried the skydive dream. Years passed, and his lost his wife to cancer and his son in a car accident. But earlier this month, Webb saw a newspaper story that finally pushed him to get up in the air. "A dragon boat team made up of elderly ladies had gone and done it," Webb said. 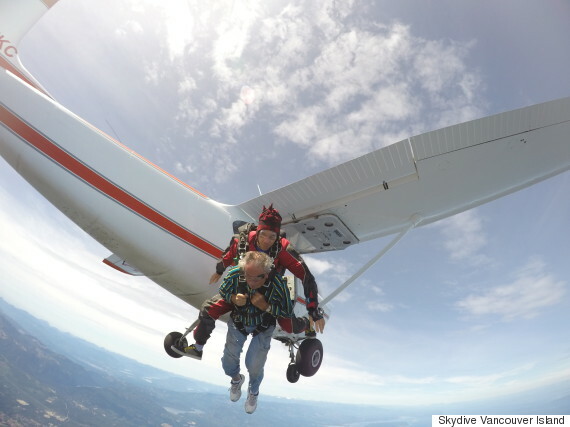 The oldest skydiver was 73. "All that time I've carried this — but I thought to myself, if they're going to take those girls up to do it, why can't I do it?" The veteran, who got engaged again last summer, said his fiancée was the first person he called when he was back on the ground. "You know what I said to her? I said, 'Darling, I'm not dead' — and she was impressed."